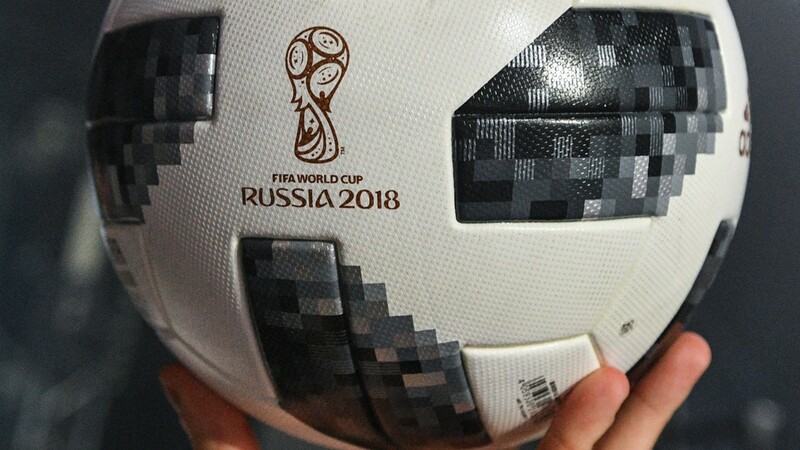 The adidas Telstar 18 is the official ball of the 2018 World Cup TM in Russia. 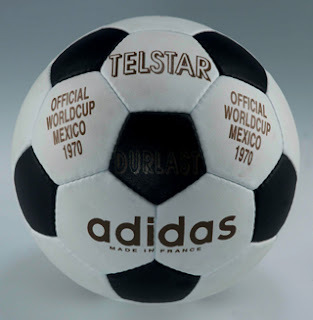 It is the first tournament ball since 1994 to be predominantly black and white and a recreation of the first adidas ball used at a World Cup, the classic 1970 Telstar. Unlike the original Telstar with 32 panels, the new ball has only six, and they are not stitched but glued together. 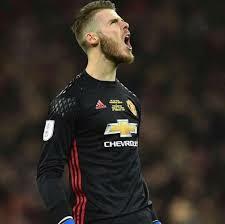 According to adidas, the newly designed latex bladder, ensures a more stable performance from ball to ball and the familiar visuals have been modernized, with the corners of the pentagons stretched into pixilated gradients. The only colour on the Telstar 18 is the gold Adidas, Telstar and World Cup logos printed on the white surface of the ball, with the black sections given a gradient, mosaic effect. adidas claim the new ball is the most technologically advanced World Cup ball in history and has taken four years of design and testing. The Telstar 18 underwent a series of rigorous tests on three continents, at altitude and at sea level, and in temperatures ranging from below freezing to over 100 degrees. It was even shot out of an air gun against a metal wall 2,000 times at more than 30 miles an hour in a cage resembling a giant pinball‐machine to ensure it retained its shape. The ball was also dropped 10 times on to a steel plate from a height of 6.5ft to test for rebound. 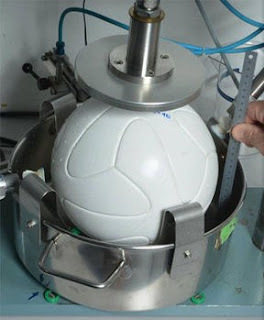 The aim of the test was to ensure the ball was able to hold its air and always bounce up from the ground at the same height. For good measure the Telstar 18 was also compressed 250 times into a bath to check it only absorbs a minimal amount of water. 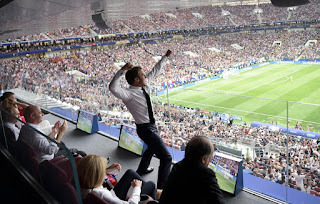 The ball was also extensively tested in situ in the lead-up to the tournament and has already been used in various youth competitions (with a different design), including the Under-20 World Cup. Not for the first time, the new World Cup ball has met with criticism from independent goalkeepers like Spain's David de Gea and Pepe Reina; and Germany's Marc-André ter Stegen. They believe ball moves in unpredictable ways and is difficult to grip because of its “plastic film”. The new ball includes an embedded near-field communication (NFC) chip, which enables consumers to interact with the ball using a smartphone. 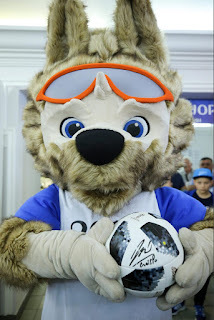 Unfortunately, the technology does not measure the ball's speed, height or curl, and so is rather a novelty to allow users to do little more than interact with the ball by giving it a name or accessing content and information unique to that ball. This is not the first time adidas has experimented with a smart ball and the miCoach Smart Ball used an integrated sensor to record strike point, spin and trajectory, but the ball was discontinued because it was never durable enough for use in competitive leagues. 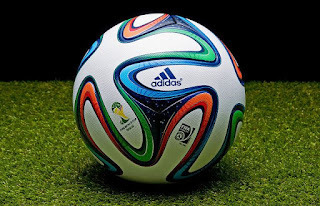 The new world cup ball was manufactured by Forward Sports, Pakistan. The same firm provided the Brazuka, the official ball of the 2014 World Cup in Brazil. A total of 64 children from across the world are selected to be Official Match Ball Carriers, with the lucky ones marching into the stadium and handing over the official ball before each match during the 2018 FIFA World Cup.